Photograph courtesy of debsaslaw at Wikimedia Commons. Drag queens, vendors with rainbow flags and a whole lot of body glitter would describe my first impressions when I arrived at Out Festival in Gayborhood, Philadelphia. I have always wanted to attend a pride-related event my whole life but never had the opportunity to do so. My expectations coming into the event were that it would only be a certain crowd and that it wouldn’t be as diverse, age or sexuality-wise. However, when I got to Gayborhood, there was a handful of people coming from different areas of life that had came to support the queer community. It was inspiring to me that people took time out of their year to celebrate diversity no matter if they identified themselves as straight or even knew someone in the LGBTQ+ community. Philadelphia’s ability to host the coming out festival in the month of October taught me that it is a great outlet for anyone to support and stand proud of their own identity. Especially for me, it is sometimes difficult to search for a place that accepts the queer community so proudly. However, I was able to experience what it felt like to be in a community that celebrated gay culture at every angle. Everyone at the festival had one characteristic in common and it was that all the people felt unified with each other. As an individual who came out at the end of his junior year in high school, I was curious about what it would be like to attend a pride-related festival. An event celebrating not only my sexuality, but also diversity from various parts of life was exciting for me. When I entered the festival with my friends, I felt comfortable in my own skin. The experience allowed me to open myself to trying new things and celebrating my culture. I had a clear picture in my mind who would attend OutFest before I attended the festival. 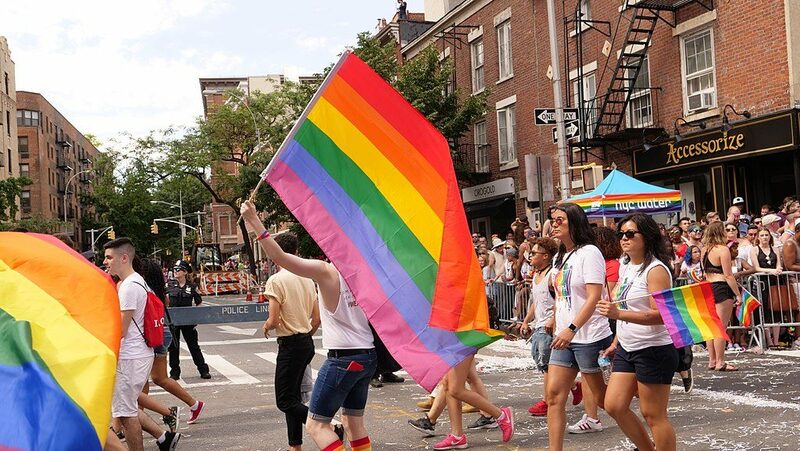 But when I saw all the people walking around the streets, it came to my mind that everyone no matter gender, ethnicity, or sexuality can attend a pride-related event. It brought the community together and united everyone together on a week that was very special to the LGBTQ+ community, National Coming Out Week. This environment allowed people to express themselves freely in an open environment no matter what the circumstance may be. Any person regardless of their sexuality should support the gay community because it makes our society peaceful and serene.